Curated and designed by FranklinTill “The Future is Urban” exhibition presented a collection of nine immersive, multi-sensory pavilions exploring the big ideas that will change how we live in the future, and the micro-trends in colour and spatial design that will become visible in the coming months. 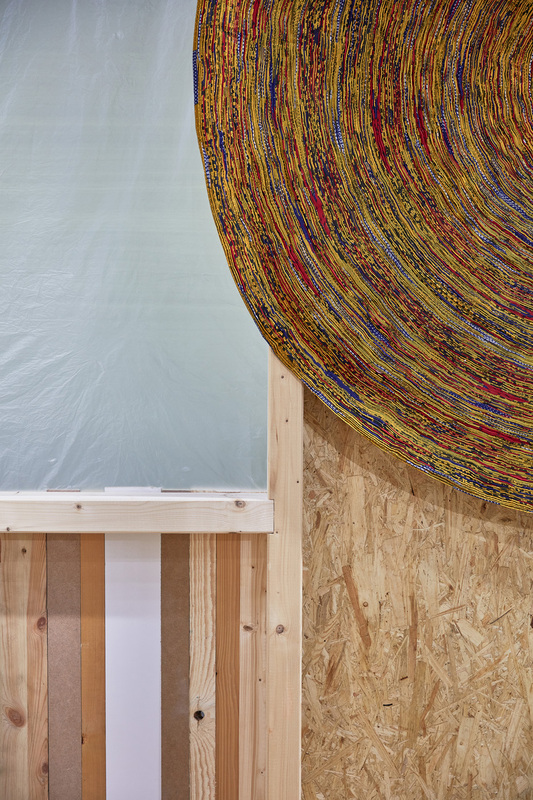 FranklinTill Studio curated Remade Materials for Heimtextil. 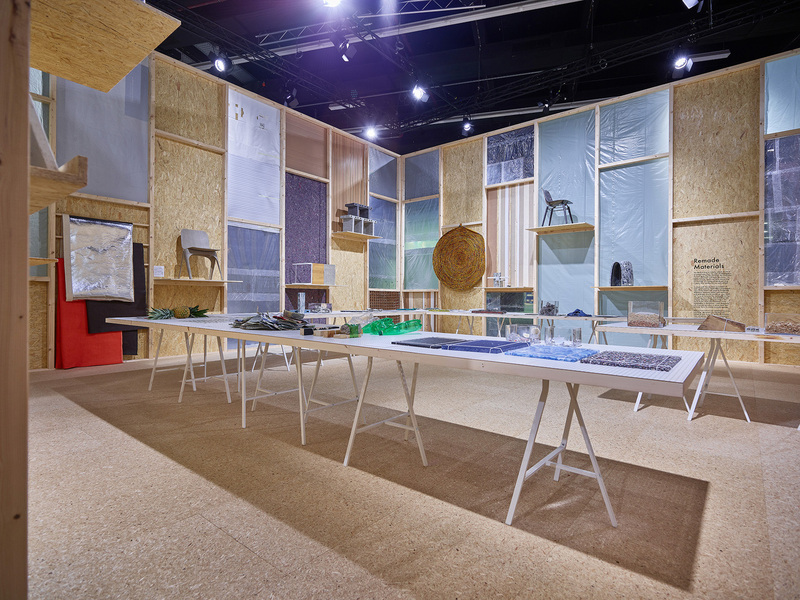 The exhibition not only housed sustainable material innovations but was itself built using waste materials from previous exhibitions at Messe Frankfurt. 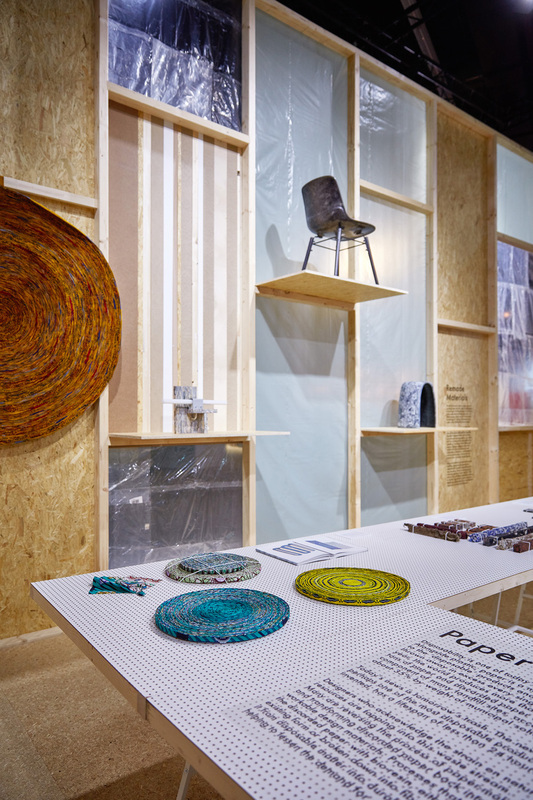 Presented in the space was a selection of materials that give new life to waste materials such as plant matter, plastics and textiles. Where will materials of the future will come from and how we can make cities more sustainable? For the first time in history, urban waste is growing faster than the rate of urbanisation. According to the World Bank, by 2025 the urban population will have grown by 1.4 billion people, each one of us discarding an average of 1.42kg of waste per day – more than double the current amount.